It's a rare and precious thing to feel such a degree of sadness and sorrow following the passing of somebody you hadn't yet had the good fortune to bump into someplace and share a smile, but even so, the recent passing of Harold Ramis still hit me as if somehow losing an old friend. I shall try not to ramble, particularly as I don't need to convince fans of anything they already know. I just felt compelled to mark this truly sad event in some small way. The legacy and influence of arguably, his most beloved character, Dr. Egon Spengler (so named after historian and philosopher, Oswald Spengler, and Hungarian refugee/classmate, Egon Donsbach), is as globe-spanning, as it is undeniable. I wonder just how many positive vibes have stemmed from us watching the adventures of this renowned, bespectacled, spores-moulds-and-fungus collector. Enough to bring the Statue of Liberty to life, and take her for a stroll down Fifth Avenue, at least. I vividly recall my mother first bringing home a Ghostbusters rental cassette from our now long-since vanished, local video store. Then, under five years old, I remember being so excited at the prospect of seeing a live-action adaptation of my adored cartoon series (...ahem). 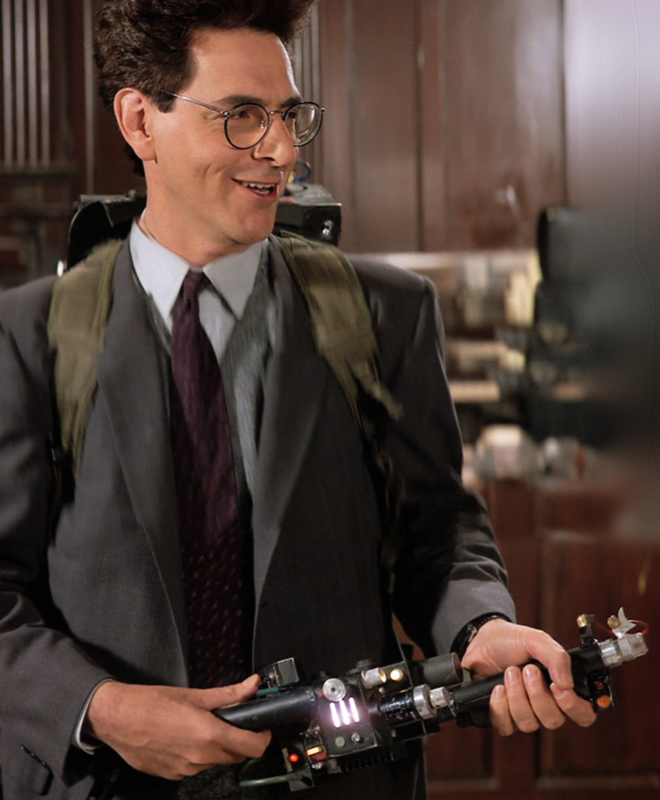 Shortly thereafter, came one of my first attempts at correspondence, as I requested delivery of my very own proton pack, in mind to protect myself from troublesome spooks. The considerate response I eventually received (from whom, I'm afraid I now cannot recall), politely denied my request, owing to the inherent dangers that can arise from untrained usage of such hazardous equipment. "A proton pack is not a toy", indeed. Now, hurtling towards thirty, I still remain truly fascinated and in awe of the prop design and craftsmanship featured in those first two movies. So much so, that I only very recently returned from a trip to B&Q, which is currently stocking the odd accurate washer, bolt and screw that shall one day hopefully aid me in completing my own piece of (fan) art to admire and cherish. With this being a rather time-intensive hobby, I doubt it shall be ready to bring along to Comic Con in July, but I do intend on wearing the jumpsuit in any case, now regardless of whether we hit the aforementioned 1000 likes, or not. 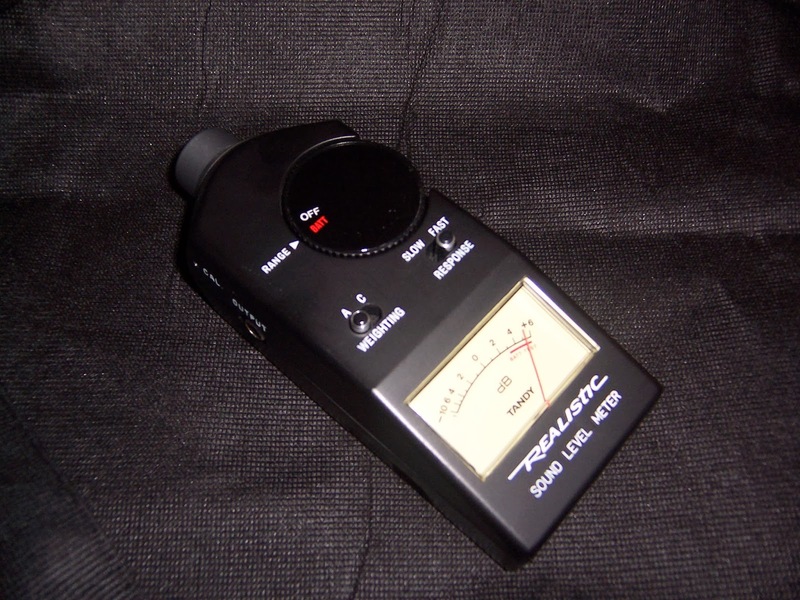 Also hanging from my trusty utility belt shall be one of Egon's creaking 'spectral detectors' (in actuality, a re-purposed, Realistic brand, Sound Level Meter), which the character ably used in the sequel, shortly before his and the gang's final battle with Vigo The Carpathian. One of the first docos I ever saw, and briefly mention my appreciation of in the BtC book, was entitled, Slimer Won't Do That! - an amazing, CITV special that for my taste, still rivals many contemporary making-ofs, in terms of elucidation, education and watchability. At one point, Mr. Ramis mentions how he delighted in receiving letters from parents and schoolteachers, who often praised the films for their collaborative, non-exclusive message. Playing Ghostbusters in the yard wasn't quite the same as playing Cowboys Vs Indians or Americans Vs Russians. In fact, he described it as being more like, People Defending Themselves From The Unknown. A noble and fun message that remains just as pertinent today as it did in 1984. Thank you, Harold, particularly for Dr. Spengler, but least of all for so much more. I'm sorry I won't get to see you grace the Silver Screen again, but will always cherish those times you did. Your work and inspiration on Ghostbusters not unnaturally contributed to me being able to fulfill my own dreams of making a film, and for that I shall be forever grateful.